EOS Quick-start [Part 4] — Run Local Testnet. This is part 4 of EOS quick-start. Please makesure you have completed [ Part 2 ] Install from sources and have all requirements installed. this will generate data and config folder with default config.ini file in you working folder, then stop it with Ctrl + C.
EOS quick-start. [Part 2] — Install from sources. EOS quick-start. [Part 1] — Introduction. What the heck is EOS, and why should I care? According to EOS.IO: EOS is a software that introduces a blockchain architecture designed to enable vertical and horizontal scaling of decentralized applications. But what does it mean?.. This is a post that shows how to install and configure serverless framework for google cloud platform. What do you mean serverless?.. For those of you who don’t know, serverless architecture is an architecture in which you get a dynamic allocation of machine resources and charged for the actual amount of resources consumed by an application, rather than on pre-purchased units of capacity. So, if you have some highly scalable short tasks this should be perfect, but if you have some very frequent and long-running tasks, this type of architecture might not the best feat. UPDATE October 2017: As of today, OpenShift 2 is officially reached its end of life and is shut down rendering this guide irrelevant. I will keep it here for historical purposes. 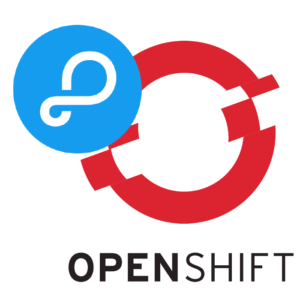 Please note that this guide was for version 2 of OpenShift cloud platform. parse-server-example supports OpenShift 3 platform out of the box, so there is no need for any external guide. Few months ago I was consulting a start-up called AbiliSense on their cloud solution. They build this amazing mobile app for people with hearing disabilities. After understanding their service needs we decided to go with Parse BaaS solution, and it was all good until the dramatic Parse Announcement about the retirement of their services. So there was a bit of frustration.. But then we realized that parse-server gone open-sourced, so I said: You know what, this is even better! We will still use it as before, but now we will also own it! Sometimes you need to install the latest and greatest kernel image on you Debian testing installation. In most cases that is to support some newer hardware piece, or to get latest features. You have two choices here: You can either compile it from sources, or you can just take it from the Debian experimental repository. There are plenty guides online on how to build you kernel from sources, so we won’t go into it. Instead i will explain how you can grab a ready build from Debian and save all this time configuring and compiling kernel source code. This is a very old post and you probably should not bee reading this, because it is deprecated. But if you insist, suit yourself.